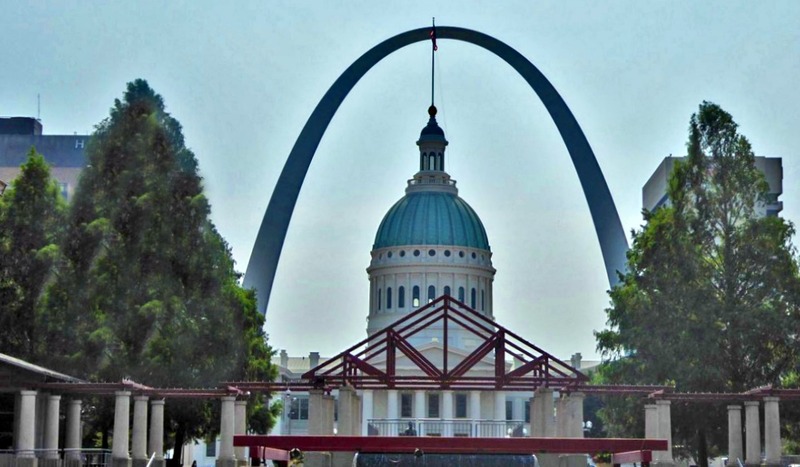 St. Louis has so many fun things to do with kids. 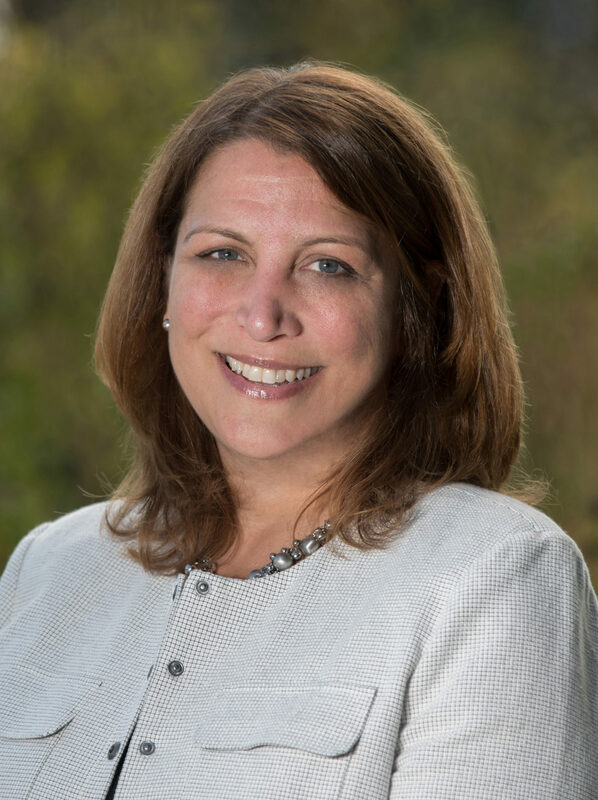 But if you’ve got only two days, our Suburban TravelingMom has compiled an itinerary with eight awesome things for families with tweens and teens to do. You might have to make some tough choices for the sake of time: Arch or zoo? Museum or cave? Frozen custard or ice cream? No matter what you pick, it’s gonna be fun. My family visits St. Louis a lot, and even though we’re usually only there for two days, we pack in a lot of fun. 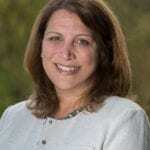 When my kids were younger (elementary school aged), our favorite place was The Magic House – an outstanding, creative children’s museum inside a sprawling home. The St. Louis Zoo, which is free, was always a slam dunk, too. Now that they’re a little older (ages 12 and 14), we’re doing different activities in St. Louis. This itinerary below highlights eight of our current favorites, which are fun options for teens and tweens. First night: A 20-minute drive from downtown St. Louis, in the upscale suburb of Town and Country, is Amp Up Action Park – a new indoor go-kart place with laser tag, an arcade and a ropes course. The go-karts are fun (the track is large!) but it’s also pricey. To get the best value, buy one of their packages – we chose one with unlimited arcade games and unlimited, two-level laser tag. Check their schedule, because they have a bunch of “unlimited laser tag” time slots. We played four back-to-back games on a recent weekday night. For younger kids in Town and Country, I’d recommend Myseum, a hands-on science museum. There are things like a giant “jungle” made of hanging swimming noodles (a fun place to play tag! ), and a magic wall that uses your shadow to create illusions. Check in for the night at the Marriott St. Louis Grand Hotel. It’s in a somewhat deserted area of downtown, near the arch. But they have an impressive, sleek, two-level gym with tons of cool equipment (the treadmill shows videos that makes you think you’re running through mountains or cities around the world – so cool! ), and the food at their in-house restaurant was fresh and delicious. There’s also a big grocery store about a block away, which can help you save a few bucks on the family breakfast. For a fun, late night snack, contact Insomnia Cookies. Within 45 minutes, they’ll deliver warm cookies or ice cream to any hotel lobby until 3 a.m.
Start the day by seeing the city’s iconic main attraction. 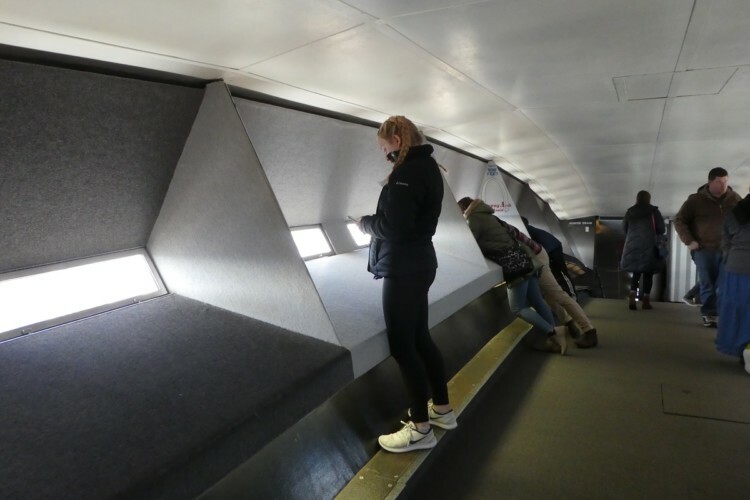 Squeeze into tiny little elevator cars and ride to the top of the St. Louis Arch. The ride up and down is the the best part, even though the elevator moves slowly. 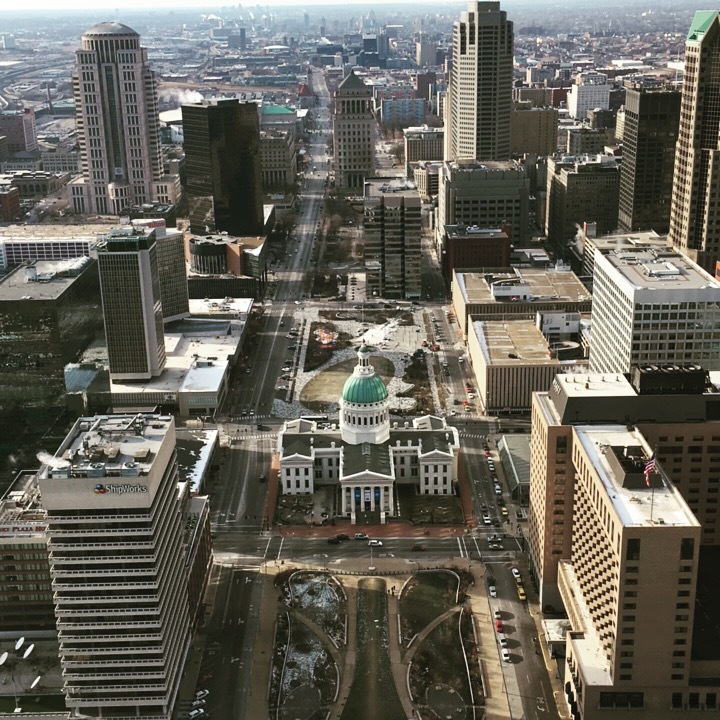 At the top, look out the thin windows at the green-domed state capitol, the Mississippi River, Busch Stadium and more. Buy tickets in advance – they sell out fast during peak times. And expect some long security lines. For lunch, head to “The Hill,” an area filled with great Italian restaurants. Just about any you pick will be good, but we like Adriana’s, a small, family-owned, lunch-only cafe with Italian sandwiches on fresh bread. 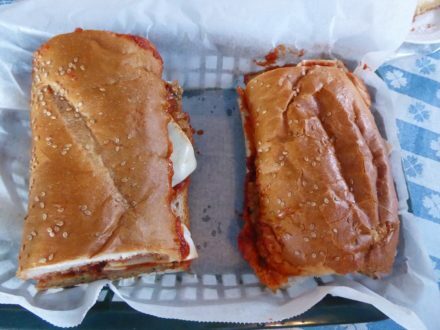 Try the Italian beef or meatball sandwiches – delizioso! – and save room for a slice of their decadent gooey butter cake. It’s an order-at-the-counter place, and the line often goes out the door, but it moves fast. As a lifelong Chicago Cubs fan, it pains me to admit this about our rivals, but the Busch Stadium tour is pretty cool. 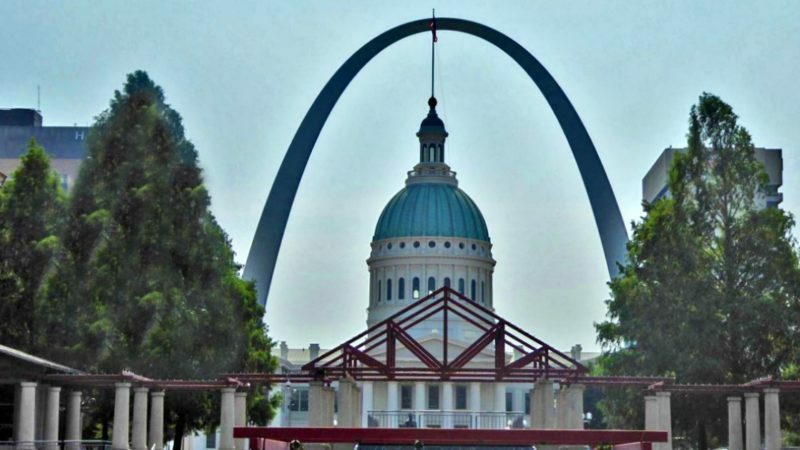 Learn about St. Louis Cardinals legends like Stan Musial, see their collection of World Series trophies, and then go in the dugout and out on the field, which opens to a view of downtown and the arch. 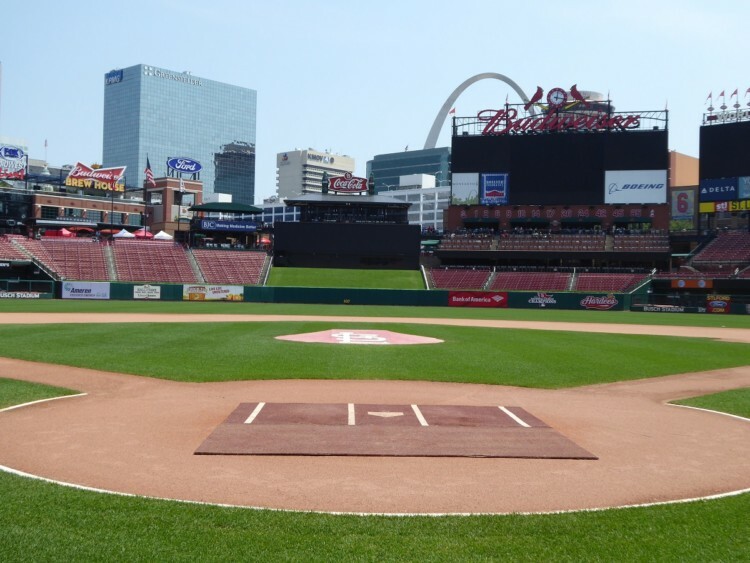 You can stay for dinner at the many bars and restaurants near the stadium in “Ballpark Village.” Before you head back to the hotel for the night, stop at Ted Drewes. The retro, order-at-the-window stand serves phenomenal frozen custard. I still think about my vanilla custard mixed with chunks of brownie … mmmm! 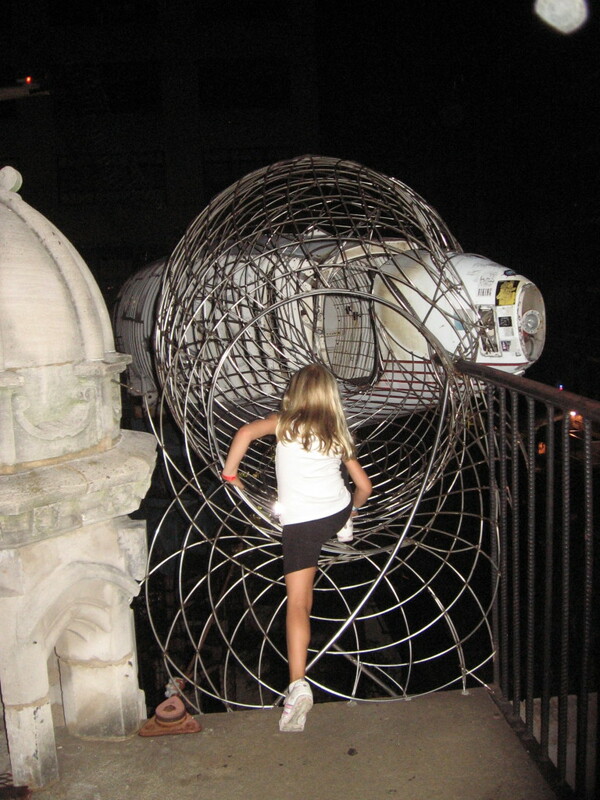 Start your morning at City Museum, a quirky, hyper-creative children’s museum that’s all about climbing and exploring. Ride the rooftop ferris wheel, and climb into a suspended school bus hanging off the top of the building. If you’re willing to climb up what feels like 100 flights of stairs, you can ride down the 10-story corkscrew slide. The museum is like a giant children’s playground, but one that’s a little bit dangerous and scary. It’s easy to get lost in the dark cave maze, and expect some scrapes and bruises from climbing the steel and iron structures above the concrete floors. Yet, it’s a must-see, memorable place. TravelingMom tip: Do not wear flip flops or skirts. Wear pants or long shorts, and closed-toe shoes. 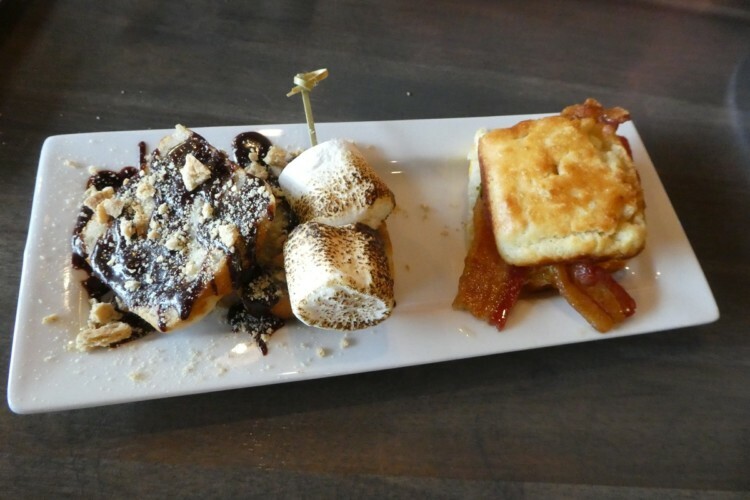 Also, grab breakfast or lunch beforehand at Red Oak Biscuit and Brunch House, an adorable little restaurant two blocks from the museum that serves sandwiches on small, decadent homemade biscuits. Sandwiches made on homemade biscuits is the specialty at Red Oak, a small restaurant near City Museum in St. Louis. Photo by Jamie Bartosch/Suburban TravelingMom. Another great climbing place in downtown St. Louis? Citygarden. Kids can climb all over the 24 art sculptures, plus play in one of those spray-up-from-the ground water areas or wading pools. Awesome on a hot summer day. A good dinner option is the made-from-scratch soul food at Sweetie Pie’s, the subject of a reality TV show on Oprah Winfrey’s OWN network. You might even see the show’s star (and the restaurant’s owner) Miss Robbie, who used to sing with Tina and Ike Turner. Or you can grab a sandwich, an insanely good milkshake and a box of homemade candy to go at the old-fashioned and historic Crown Candy Kitchen. Before you head out of town, it’s worth the 45-minute drive outside St. Louis to Onondaga Cave State Park. 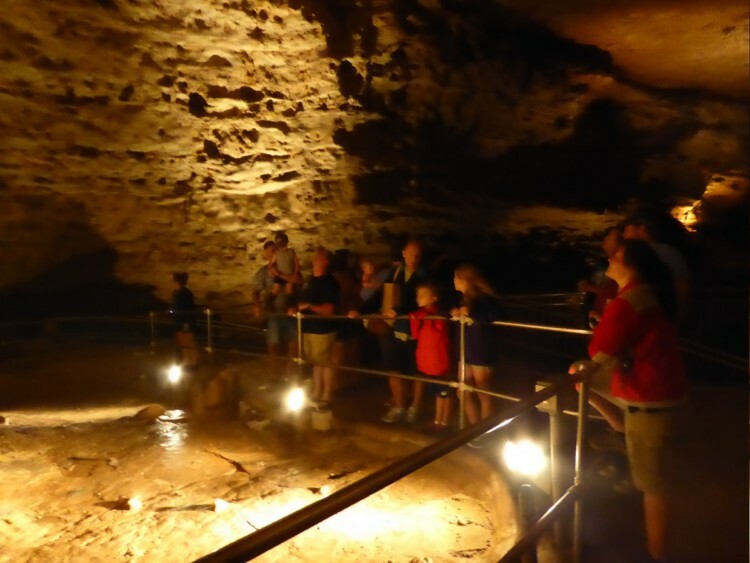 While signs everywhere tout Meramec Caves, this lesser-known cave is a hidden gem – and a good place for families to go on hot or bad weather days. The coolest thing? The tour guide has you stand still, and then cuts the lights so you experience complete darkness. Trust me, you’ll say “whoa!” They also have one of those “gem mining” stations in front of the cave, which is something elementary-aged kids will enjoy. Sand bags containing gemstones are sold in the gift shop. 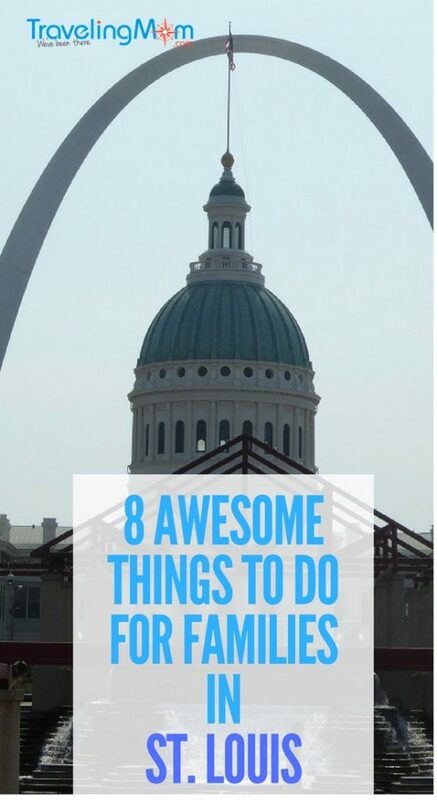 For more fun things to do in St. Louis, check out my post on Fun Things to do With the Kids in Suburban St. Louis. There’s also a story with the upside and downside of different St. Louis family destinations, here. What can you do for free in St. Louis? I vote for the science center and grant’s farm. Both are free too. I don’t think I’ve been to Grant’s Farm yet. Adding it to my list for next time!